DONT WAIT CALL US – SERIOUSLY! Don’t wait to call us – Did you know when the call received within the first 24 hours of damage – Rapid can get in and restore your home and possessions back to mint condition! Waiting causes the damage to significantly increase – EXPONENTIALLY – as time goes by! Our team can also help provide assistance with water extraction from sump pump backups, storm damage as well as mold, lead and asbestos testing and removal. 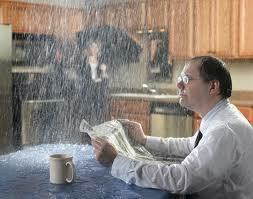 In the event, your property is exposed to any fire, water, flood, storm or mold damage contact us immediately! Our IICRC professionals will arrive onsite within 1 hour to clean up all water, fire, and mold damage. We are here to help you when you need any fire, water cleanup or repair. Our kind, caring, and experienced staff will help you understand the situation. Also, the team works with you throughout the entire fire or water restoration process. We also have an onsite secure contents restoration facility, individual rooms, ozone chamber and more!